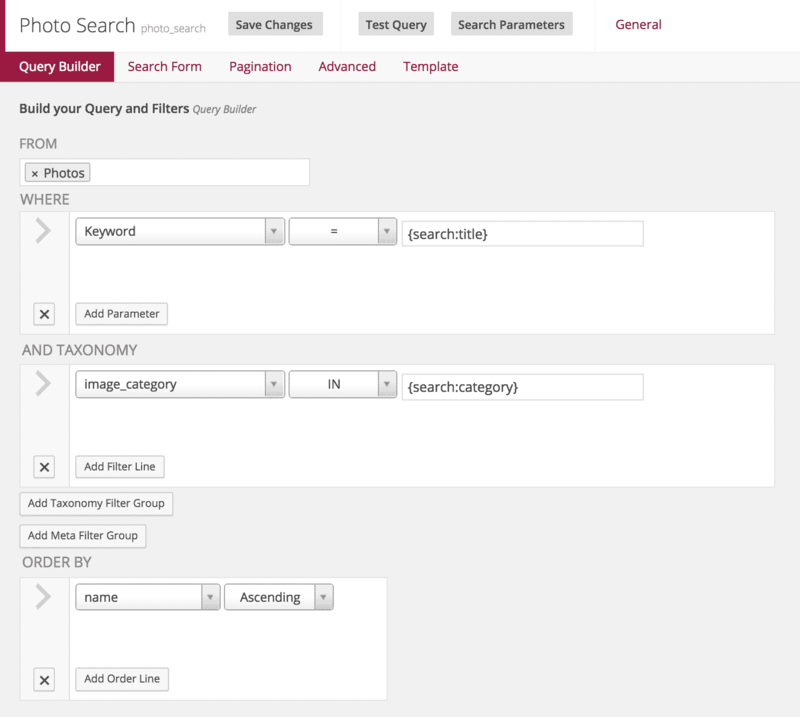 Access custom post types, content, categories, taxonomies and media from your database, easily. 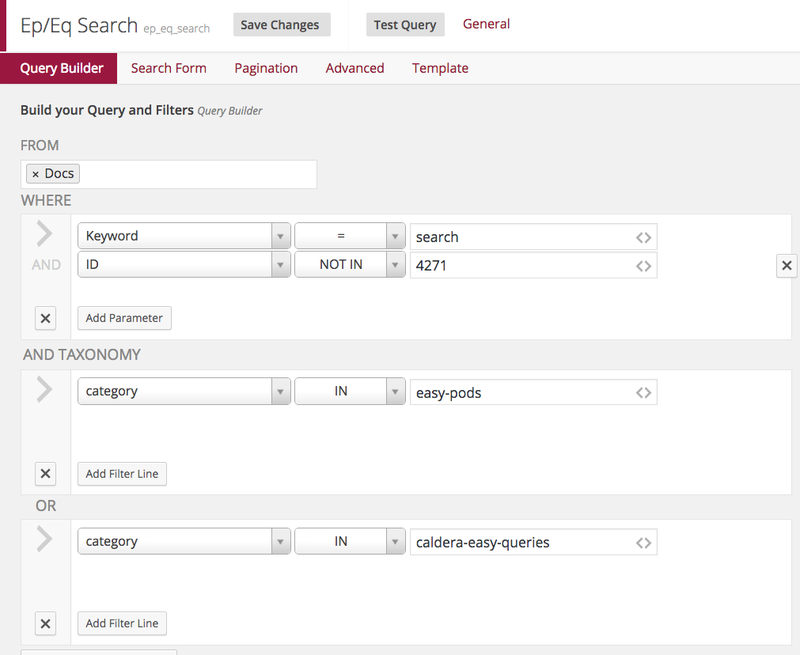 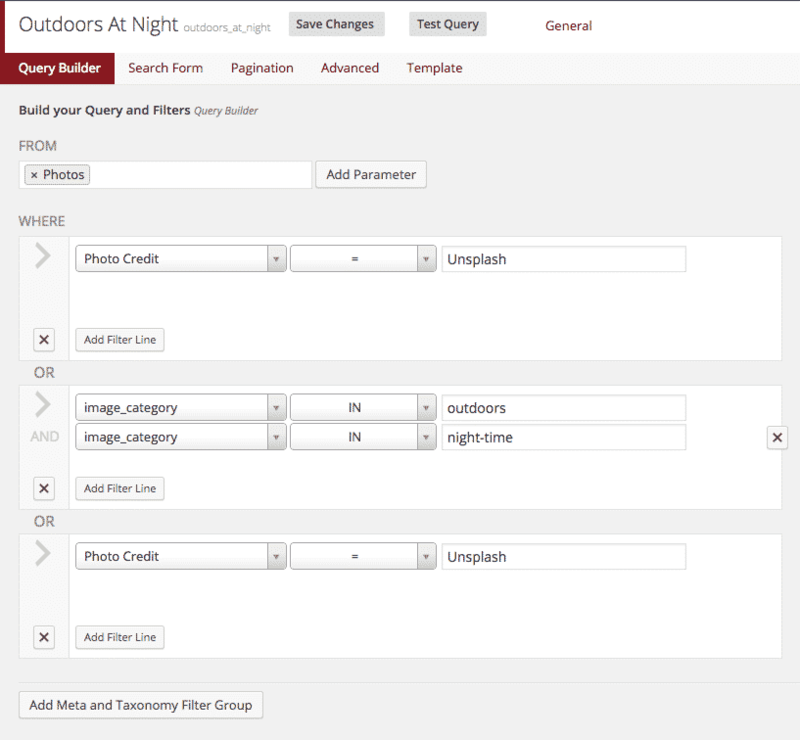 Easy Queries is query builder and display and search tool that puts the easy back in WordPress. 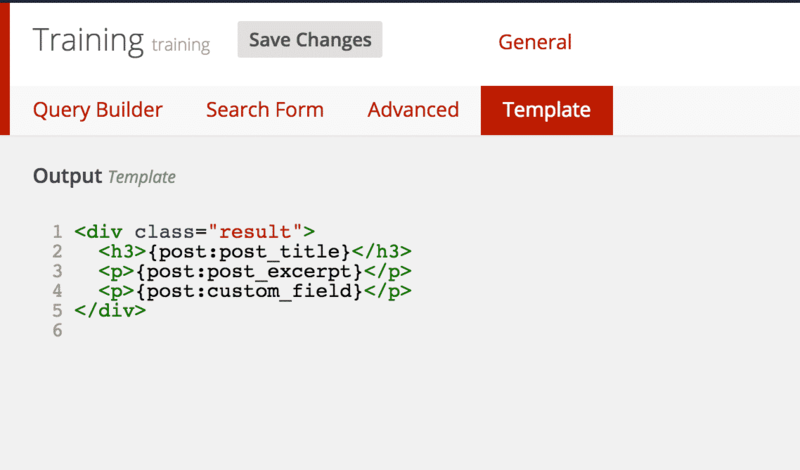 WordPress is the most flexible framework to build any type of website, due to its custom post types and custom fields. 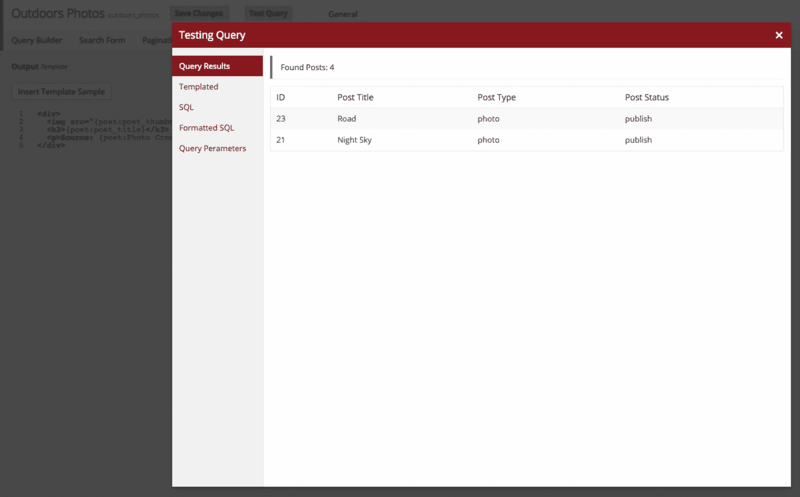 However, the more complex your data structure, the harder it is to get the right data in the right place. 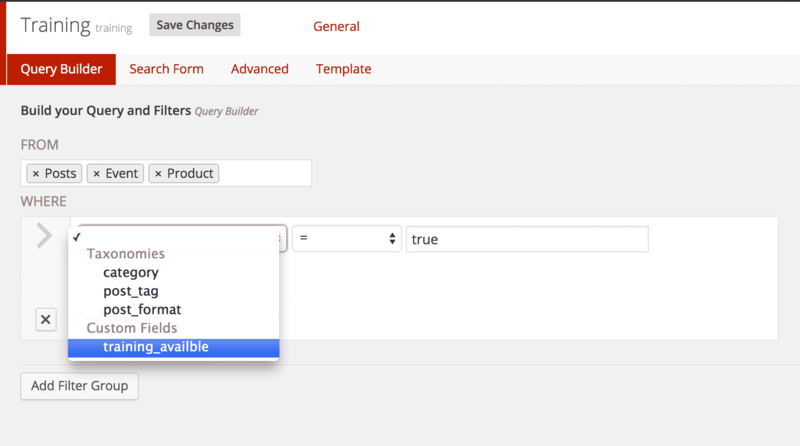 We built Easy Queries to help you get to the content you need, without ever having to wrestle with WP_Query. 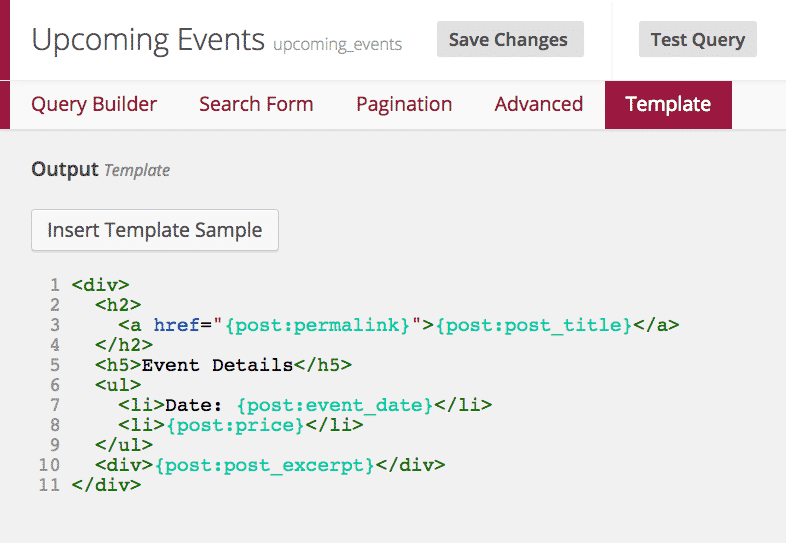 The visual editor, and query results previews allows beginner users to learn more about WP_Query, easily and safely. 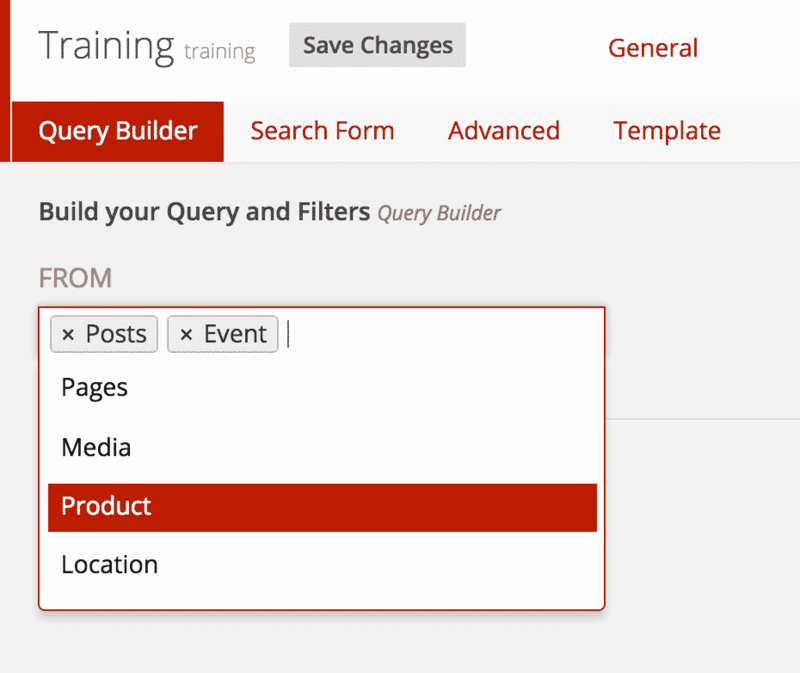 Users of any level will appreciate not only the ease of use of the visual editor, the integrated templating tools and ability to create search forms. 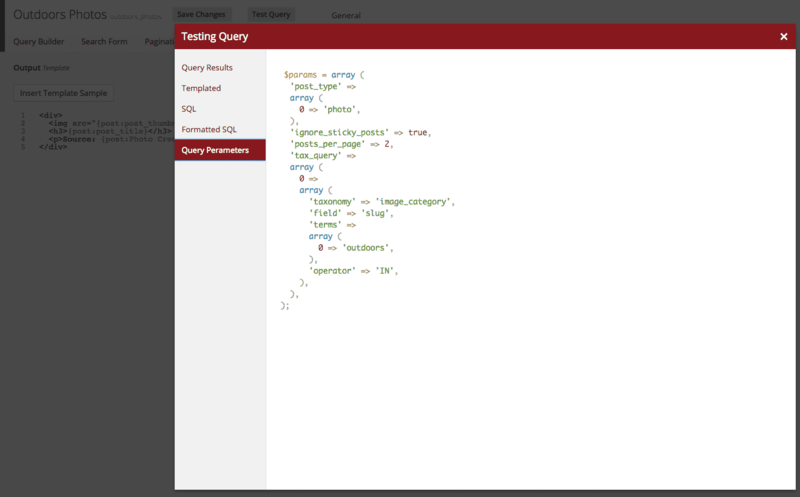 Easy Queries has been a fantastic tool to help me build complex queries in two shakes of a lamb’s tail. 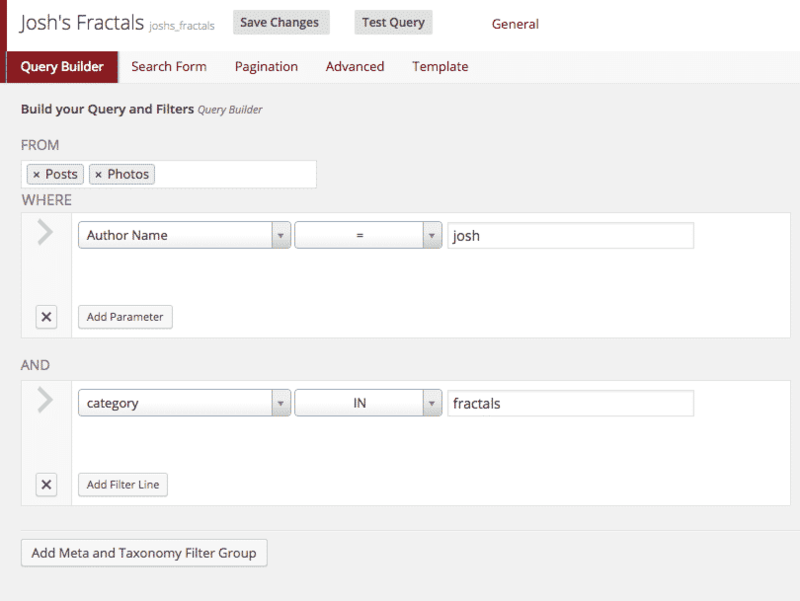 It does this with an easy-on-the-eyes visual interface that recognizes my custom post types and taxonomies. 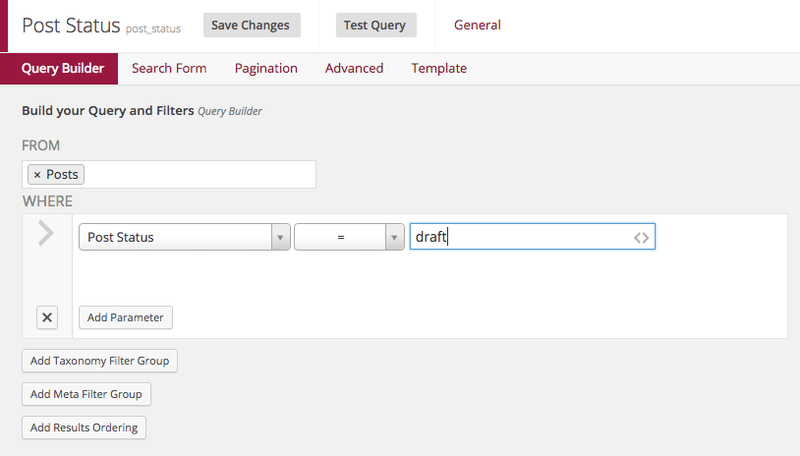 This plugin is also excellent for developers with Drupal experience who are searching for a Drupal Views for WordPress solution. 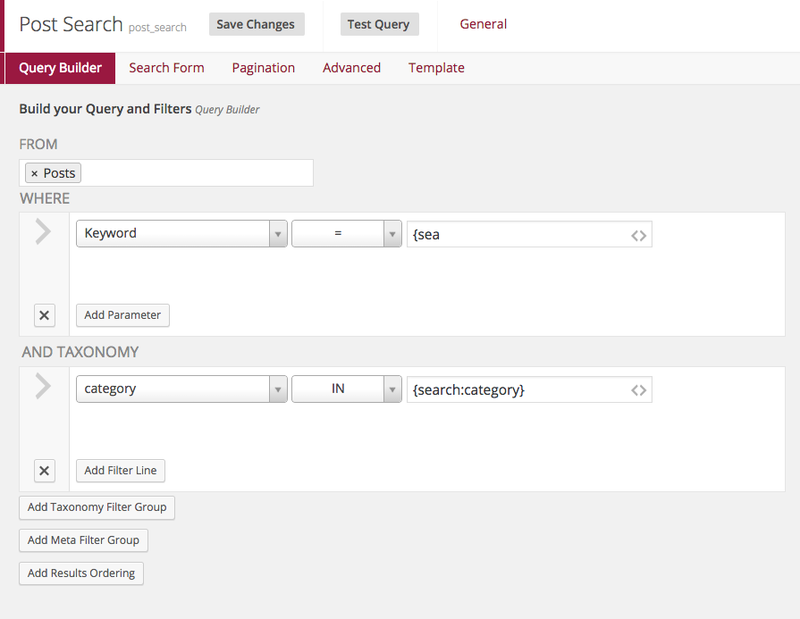 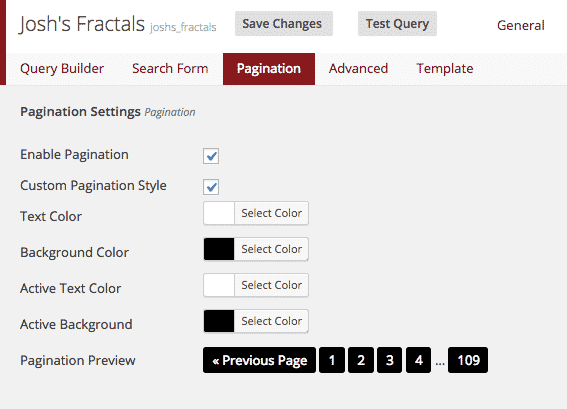 It provides an integrated query builder, and view interface.